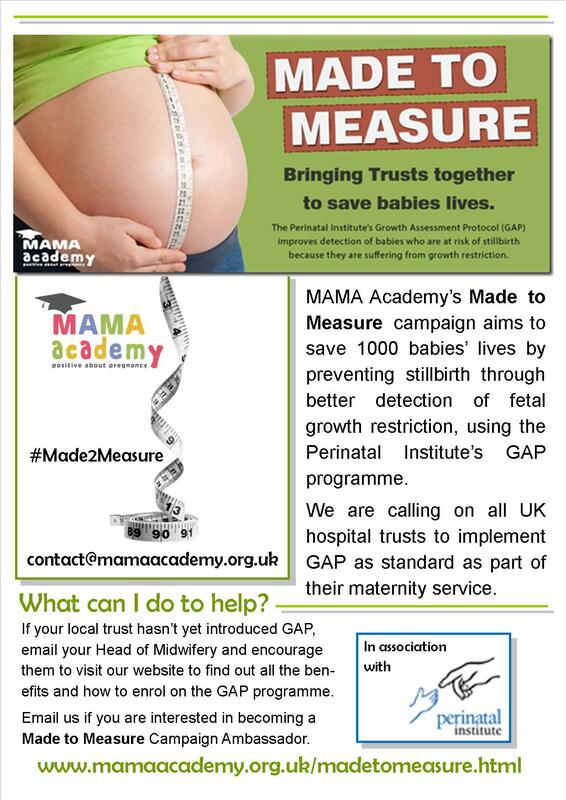 In one of my ‘multitasking mummy’ roles I am Media Coordinator for the wonderful pregnancy charity MAMA Academy so I was delighted to be involved in the launch of the Made to Measure campaign which aims to reduce the UK’s shocking stillbirth rates – still among the highest in Western Europe. Made to Measure is all about promoting uptake of the Perinatal Institute’s Growth Assessment Protocol (GAP) programme by all hospital trusts providing a maternity service. This is recommended practice, nationally endorsed by NHS England, but there are still a sizeable number of trusts that have not yet signed up for GAP training – and the implications of this are serious. The GAP programme is designed to enable midwives to more accurately measure the growth of a baby in the womb by plotting the symphysis fundal height measurements (that your midwife takes with a tape measure) on a specially customised growth chart, unique to the mother. 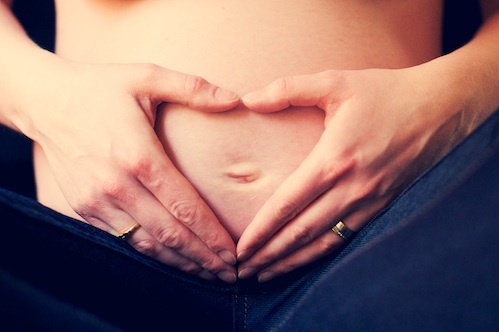 This takes into account the mother’s height, weight, ethnicity, and previous obstetric history to more reliably indicate if the baby is becoming growth restricted – a sign that the placenta may be failing and a key early indicator of the risk of stillbirth. If every trust was to adopt the GAP programme in their maternity service, using the customised charts and the package of training for midwives, obstetricians and ultrasonographers that ensures all professionals involved in the care of women are properly educated in their use, it is estimated that 1000 babies could be saved each year. By detecting more growth restricted babies, we can greatly increase their chances of being born safely. Head on over to the Made to Measure campaign page on the MAMA Academy website to read all about GAP and find some related links. Check the Perinatal Institute list of hospital trusts to see whether your local maternity service is using GAP. Use the example letter on the MAMA Academy website to email your local Head of Midwifery and encourage them to sign up to GAP training. 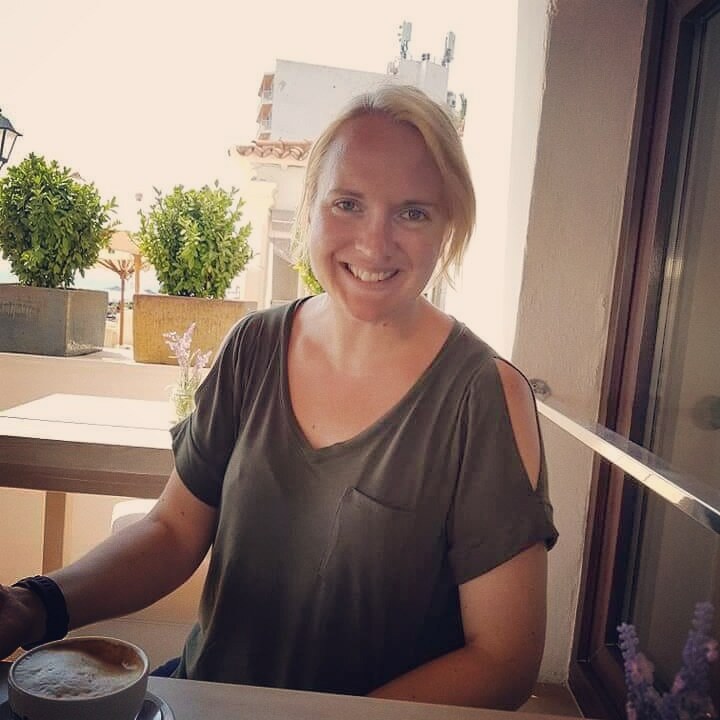 Email contact@mamaacademy.org.uk to share your story of having a baby affected by growth restriction with MAMA Academy, to add to a list of case studies for media requests. Email contact@mamaacademy.org.uk if you are interested in becoming a campaign ambassador in your area. Write a post on your own blog to help promote the campaign or share a post with my parent blogging project Blogs For Babies and I’ll publish your story there. Follow @MAMAAcademy on Twitter and like their Facebook page facebook.com/MAMAAcademy for regular updates on the campaign as more trusts are encouraged to sign up. Help promote the campaign on social media using the hashtags #1000babies and #Made2Measure.